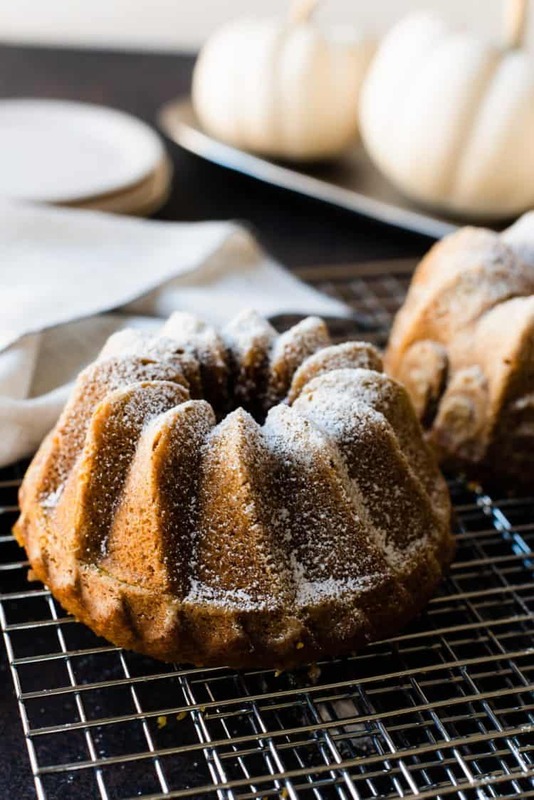 This easy Pumpkin Spice Cake recipe has all the flavors of fall baked in a Bundt pan! Buttermilk makes it moist and cinnamon, nutmeg & cloves makes it cozy. As I am writing this, the kids and a couple of their friends are in the next room watching a Christmas movie…I normally would resist, it is only October, after all, but I can’t blame them! They’ve got hot cocoa and popcorn and cookies, and if you step outside, you can actually see your breath. Who wouldn’t want to be cozy and jolly? But let’s not get too far ahead of ourselves, shall we? I’m just getting started with the pumpkin! The pumpkin spice floodgates have opened, and I’m finding it in everything from popcorn to deodorant (yes, you read that correctly, I’m afraid). However, I’m a fan of the classics, so I thought today would be the perfect day to share with you my favorite form of pumpkin spice anything…CAKE. I’ll admit, I baked this Pumpkin Spice Bundt Cake earlier than I would normally, betraying perhaps myself in my self-imposed rules to not bake anything pumpkin before October, but I guess I’m no different than my kids in feeling eager. I have no regrets. These little baby cakes have put me in the autumn spirit and I know the minute you taste it, you will be ready to embrace all things fall, too. And now that it is officially October, I can share it with you and not feel an ounce of guilt. 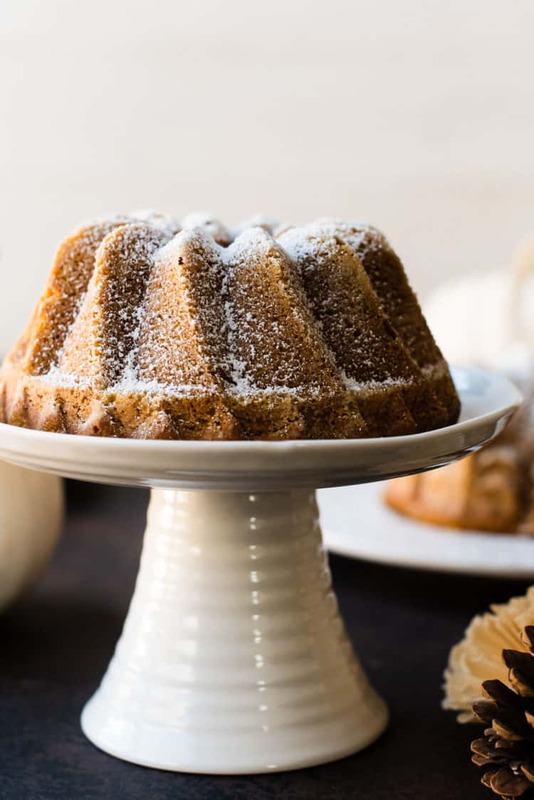 If you feel like sharing the pumpkin spice love, you can make them in small, giftable Bundt cakes. 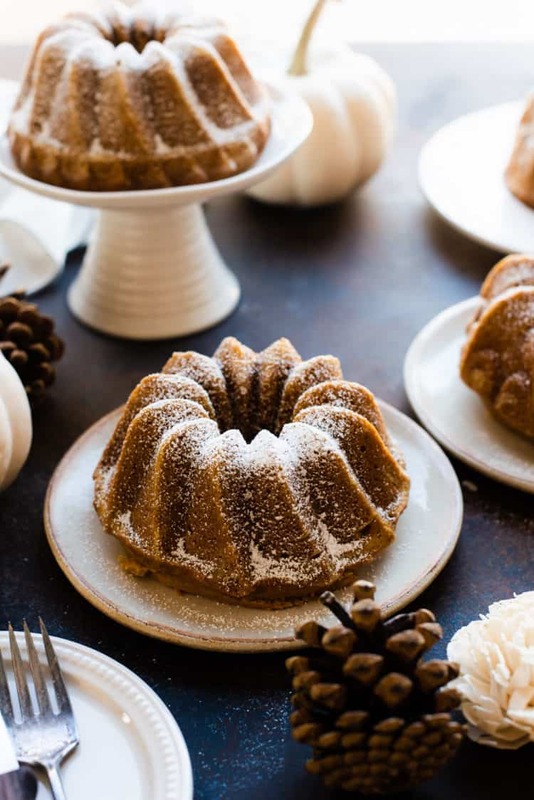 After making these, I’m making a mental note to self to buy another Bundt Duet Pan to speed up the process since this batter made enough for 2 sets of mini Bundts…I’m already thinking of holiday gifts for the neighbors (there I go thinking ahead again!). But you can also make one large Bundt cake…all for yourself! Once you bake this cake, you’re going to want more! It’s like opening a can of…pumpkin. Here are more pumpkin baking recipes to tempt you. 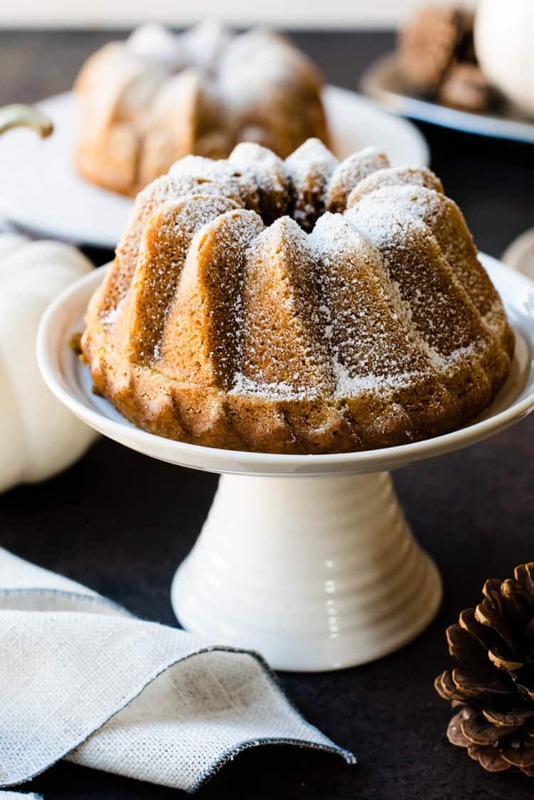 This easy Pumpkin Spice Cake recipe has all the flavors of fall baked in a bundt pan! Buttermilk makes it moist and cinnamon, nutmeg & cloves makes it cozy. 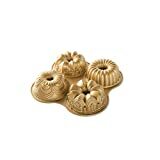 This cake makes one large (10-cup) bundt cake or 4 mini (3-cup) bundt cakes. Preheat the oven to 350°F. 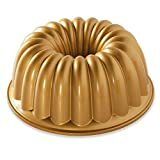 Grease a 10-cup Bundt pan (or 2 Bundt Duet pans or 1 Quartet Bundt pan) with butter and dust with flour, or spray with baking spray. Set aside. In a large mixing bowl, or in the bowl of an electric mixer, stir together the flour, sugar, salt, baking soda, cinnamon, nutmeg, and cloves. Make a well in the center of the dry ingredients. In a separate bowl, whisk together the eggs, pumpkin, oil, buttermilk, and vanilla. Add the egg mixture to the dry ingredients, stirring until just combined, scraping the bowl periodically. Do not over-mix the batter. Pour batter into the prepared bundt pan. 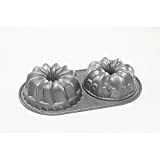 Bake for about 50-60 minutes for 10-cup bundt pan or 35-40 minutes for the 3-cup mini bundt pans, or until a toothpick inserted in the center comes out clean. Cool in pan 10 minutes before inverting to cool on a wire rack. Sprinkle with powdered sugar before serving. Bring on the pumpkin spice, I love this cake! !